Paroxysmal Supraventricular Tachycardia (PSVT) is a heart disorder which is typically characterized by occasional episodes of ‘faster than normal’ heart rate. The ‘beats per minute (bpm)’ rate in an individual suffering from PSVT can go up to 250 beats, while the normal rate is 60 and 100 bpm. As such, the episodes of PSVT may give the affected individuals the feeling of a ‘fluttering’ or ‘racing’ heart. Since Paroxysmal Supraventricular Tachycardia can simply be defined as a condition of ‘abnormally fast heartbeat,’ which occurs because of an improper working of the electrical impulses that coordinate the heartbeats. In other words, the faster-than-normal heartbeat in PSVT is a result of an atypical electrical pathway which hampers the ability of the sinus node of the heart to send electrical signals to the heart muscles, for enabling the contractions of the heart. Paroxysmal Supraventricular Tachycardia is a broad term which includes different forms of ‘heart arrhythmias,’ that is, problems associated with heart rhythm. The origin-point of these heart-rhythm problems is the Supraventricular, which are the ventricles in the atria or AV node. People affected by Paroxysmal Supraventricular Tachycardia may have recurrent episodes of abnormally fast heart beat. These episodes may start and end suddenly, with the heart rates remaining normal in between the episodes. Paroxysmal Supraventricular Tachycardia may affect people of all ages, even if they may not otherwise suffer from a heart condition. However, the potential risk of the disorder can be comparatively higher for adults aged above 65 years than for other age-groups. Asthma/cough medications and other over-the-counter cold and allergy medications. People who have suffer from rare episodes of Paroxysmal Supraventricular Tachycardia can usually live a healthy life without restrictions or interventions. 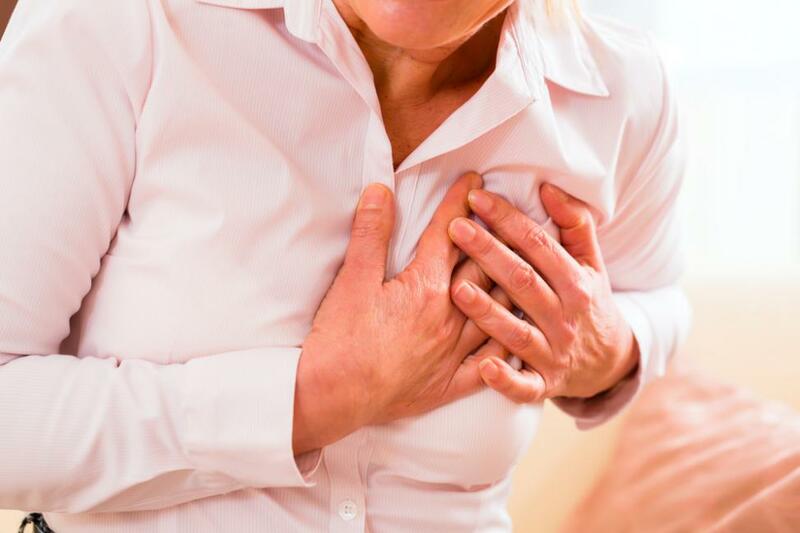 However, people who experience regular PSVT episodes often require timely and appropriate treatment for eliminating the episodes of rapid heartbeat. Fainting (Syncope) or near fainting. Symptoms of Paroxysmal Supraventricular Tachycardia may last for a few minutes or a few days. But, in some cases, the sufferers may not show any noticeable symptoms of the disorder. The treatment of Paroxysmal Supraventricular Tachycardia (PSVT) mostly revolves around the use of medications or other methods/lifestyle changes for controlling the ‘fast heartbeat’ episodes affecting the patients suffering from the disorder. The common procedures performed by doctors for slowing down the heartbeat in PSVT patients are: Cardioversion (an electrical shock to the heart) and Ablation (catheter-based methods). Renowned herbal manufacturing company Planet Ayurveda offers some beneficial herbal products which can be extremely helpful in the management of Paroxysmal Supraventricular Tachycardia in a safe and natural manner. These 100% vegetarian products are prepared from pure and standardized extracts of well-known herbs, which have been clearly mentioned in ancient Ayurveda texts for their immense health benefits. A number of potent herbs, with proven medicinal significance, have been combined for the preparation of these capsules which are especially beneficial in managing heart-related disorders, and are considered an excellent heart supplement. The herbal components of these capsules are: Arjuna (Terminalia arjuna), Brahmi (Bacopa monieri), Shankhapushpi (Convolvulus pluricaulis), and Ashwagandha (Withania somniferum). The use of Total Heart Support capsules can benefit the patients of Paroxysmal Supraventricular Tachycardia because the herbal combination of the capsules can support heart muscles, enhance the functioning of the heart, improve control over the nervous system, remove blockages from the arteries, maintain healthy blood pressure levels, relieve stress and anxiety, maintain healthy blood sugar level, and balance vitiated ‘Vata’ and ‘Pitta’ in the body. Dosage: 2 capsules twice a day, with plain water. For the preparation of these capsules, the bark extract of the widely-known ‘Arjuna’ tree (Terminalia arjuna) is used. The herb has proven properties for effectively managing heart disorders, blood pressure and high cholesterol levels. 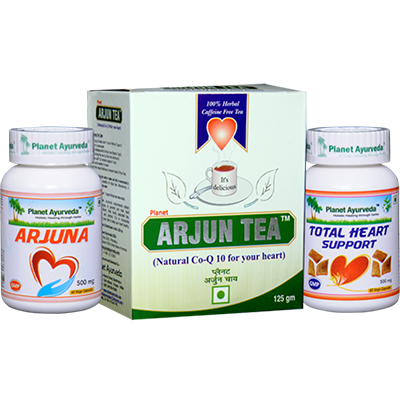 People suffering from Paroxysmal Supraventricular Tachycardia can benefit from the use of Arjuna capsules because of their ability to check cholesterol levels, control high blood pressure, improve the circulation of blood in the body, manage heart problems, and clear artery blockages. Dosage: 2 capsules twice daily, with plain water. The preparation of this herbal tea involves the use of the bark of Arjuna (Terminalia arjuna) herb, along with the standardized extracts of some other potent herbs which include Punarnava (Boerhavia diffusa), Dalchini (Cinnamon tamala), Chhoti elaichi (Elettaria cardamom), and Pipal tvak (Ficus religiosa). This herbal tea is an amazing product can be helpful in managing Paroxysmal Supraventricular Tachycardia because its components can strengthen the muscles of the heart, improve the pumping capability of the heart, control cholesterol levels, promote cardiovascular strength, maintain blood pressure, strengthen the arterial system, and treat heart conditions like blocked coronary arteries and congestive heart failure. 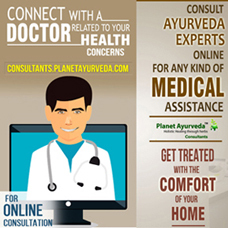 Conclusion: The herbal products available from Planet Ayurveda for managing Paroxysmal Supraventricular Tachycardia (PSVT) are prepared under the guidance of Ayurveda experts with several years of experience. The products are safe to use because they do not contain any additional colors, starch, yeast, fillers, binders, chemicals or preservatives. The products are prepared after stringent ‘Quality-Quantity-Potency’ checks by the manufacturer. ← How To Manage MRSA (Methicillin Resistant Staphylococcus Aureus) Infection in Ayurveda?